When the old year is ending and a new year beginning, there is much activity in your home. The ideal way to prepare for the new year is to hire an upholstery cleaner. When holiday vacation is over, your family members will come home from school or work each day. 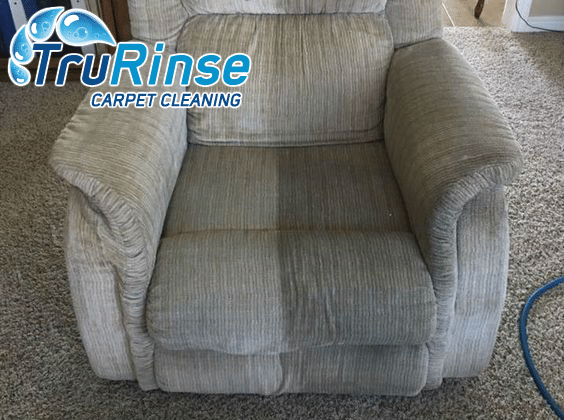 As you want everyone to be healthy, having your upholstered furniture cleaned is a good start. When the germs and bacteria that linger in your furniture are removed by our professional cleaning service, your family can enjoy a healthy home. Nothing can distract from the beauty of a home quite like stains on the furniture. It is not uncommon for beverages to be spilled during the holidays. Even spilled foods can ruin your furniture’s appearance. Spot-cleaning is not nearly as effective as professional cleaning. In fact, some products used for spot-cleaning can harm the furniture. Harsh products can damage the fibers, and can cause colors to fade. When you want stains removed so your furniture looks nice, you need an experienced cleaner to do the job. Furniture is expensive. If you have invested in nice chairs, couches, or love-seats, you want to protect your investment. You definitely do not want to replace it in the near future. The secret to long-lasting furniture is professional cleaning. When you have your upholstered furniture cleaned on a regular basis, you may never need to replace it at all. You can continue to enjoy your favorite pieces for many, many years. If you think of the last time you thoroughly cleaned your house, you may not look forward to repeating the chore. While some house-cleaning tasks are easy, others are time-consuming, stressful, and exhausting. Whether you are planning to clean after the holidays, or looking ahead to spring cleaning, you do not need to put extra time into cleaning your furniture. We can do the hard work for you, so you can save time. When we leave each piece of furniture in excellent condition, you can focus on other chores around the house. You will have more free time for yourself and your family. Everyone wants a beautiful home, but some chores are best left to the experts. When you know we will provide top-notch service, there will be less for you to do. You can have confidence knowing the job will be done correctly, so you can relax. No matter how many pieces of furniture you have in your home, call for an appointment (801-226-6827). After we’re finished with the job, you will agree that your furniture hasn’t been so clean and colorful since the day you brought it home.